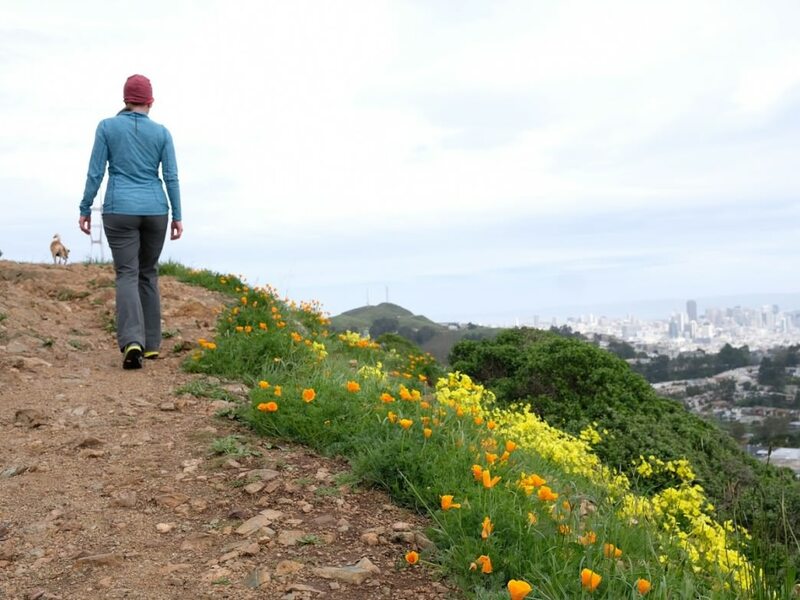 The world-class trails of the Bay Area are paradise for any trail enthusiast, from novice hikers to outdoor-loving families to veteran trail runners. And what’s not to love? The views are downright stunning, from vistas of the Pacific and the area’s waterways; the chance to spot wildlife, like whales and tule elk; and glorious singletrack that cruises through soaring redwoods, lush ferns, and coastal plans. The only downside is after a hike or a trail run here, you’re almost guaranteed to be spoiled forever. 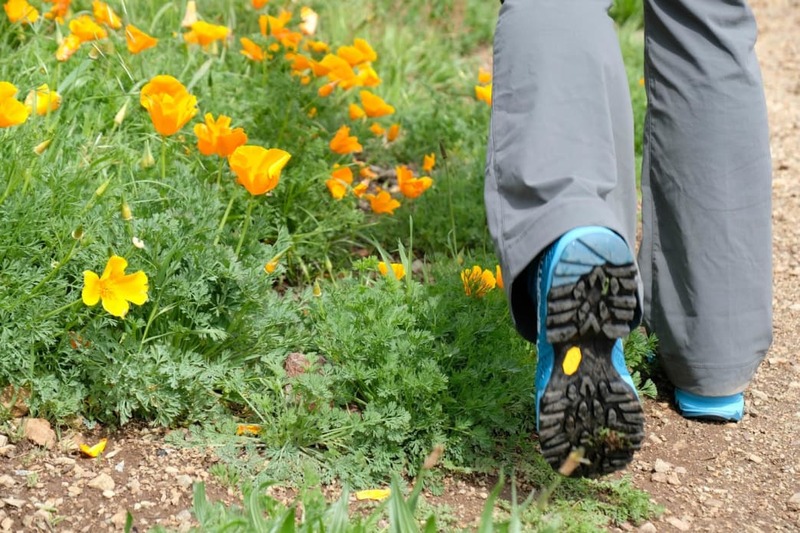 Here, 10 must-do hikes around the Bay Area. 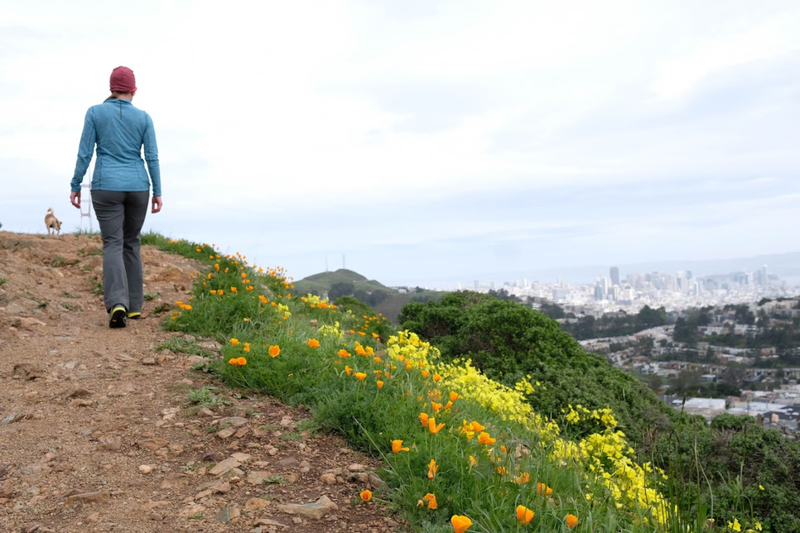 It’s one of the most popular routes in one of the most popular areas for trail running in San Francisco, and it’s no surprise why. The Matt Davis Trail-Steep Ravine Loop has all the ingredients of trail running nirvana, from well-constructed trails to quad-burning (but not killer) elevation gain (about 1,500 feet) to a glorious array of ecosystems and terrain: waterfalls, redwoods, canyons, grasslands, and views galore. Weaving through the foothills of Mount Tamalpais in Marin County, the trail is thick with hikers and visitors on weekends, so for more solitude, plan your outing for a weekday or early morning. Trail enthusiasts will find plenty to keep them happy on 24 miles of scenic trails on this former Army post, that’s woodsy environs, ocean bluffs, and coastal views feel worlds away from the city. 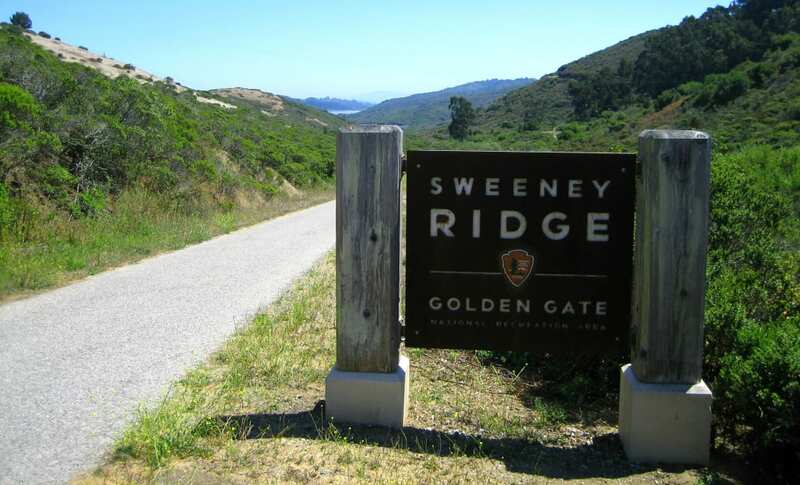 You really can’t go wrong with any of them, but one of the standouts is the relatively flat, 2.5-mile Presidio section of the Bay Area Ridge Trail (which includes 338 miles of public use trail throughout the Bay Area). Highlights include a piece of artwork called Spire, a 90-foot sculpture made of 38 cypress trunks, old-growth forests, and views of the bay from the serene National Cemetery Overlook. Redwood Regional Park is in itself a gem for outdoor lovers in the East Bay, and the 6.2-mile loop that connects the East Ridge and other trails showcases its stunning beauty: wide, grassy slopes, serene views of the rolling East Bay hills, and some of the few remaining stands of the 150-foot coastal redwoods that tower over the park. Gentle rollers show off the contours of the ridgeline; add variety with any of several side trails that splinter off and drop to the valley floor below. Plan to tackle this one on as clear a day as possible in order to take advantage of the showstopping views of the coast. History buffs will love it, too. Several trails lead to the very spot where Catalonian explorer Gaspar de Portola first discovered the San Francisco Bay in 1769, and there are also abandoned buildings from the 1950s. The Sneath Lane trailhead is a good starting point for a 3.2-mile hike to the top and back. It might not have quite the cache of its southerly sister, the world-famous Hollywood sign, but the South San Francisco sign holds its own quirky appeal. It’s a fairly short but steep hike to reach the white concrete letters, which were originally made out of limestone in the mid-1920s as part of a publicity push for the city. In 1996, Sign Hill, as it’s known, was placed on the National Register of Historic Places. Today, the 30-acre park makes for an easy, intriguing urban adventure, with about two miles of hiking trails that offer terrific views of the South Bay and San Francisco International Airport spread out below. It’s especially scenic at sunset, too. Pro tip: Wear hiking shoes with good traction (like La Sportiva’s Synthesis Mid GTX boots from REI) to avoid stumbling on the way down. As mountains go, Mount Diablo’s peak isn’t a particularly mighty one at a moderate 3,849 feet. But, as the highest summit in the Bay Area, it still makes for a great bragging-rights excursion that boasts some of the most spectacular views around. On clear days, you can see past the surrounding rolling hills and broad valleys as far as 200 miles. The vista includes parts of 35 of California’s 58 counties and some of the area’s most notable natural landmarks, including the Farallon Islands to the west; the 3,791-foot Mount Loma Prieta in the Santa Cruz Mountains to the south; and the snow-capped peaks of the Sierras. Less experienced hikers should opt for the one-mile route on the Juniper Trail from the Juniper Campground. For a more ambitious outing, the 6.8-mile Summit Trail is a one-way route to the peak. Be sure to save enough daylight and energy to make the trip back down. At 938 feet, Mount Davidson may be the highest peak in San Francisco. But neighboring Twin Peaks steals the spotlight, with tour buses and visitors constantly swarming its slopes. But that’s how outdoor lovers like it, since they can hit the routes that crisscross the urban oasis in relative solitude. A few trails circling the hill are easily accessible through several neighborhood streets. With a little exploration, it’s easy to make your way to a fantastic viewing area of the city. An ideal spot to stop and stretch is at the 103-foot cross that was erected in 1934 during the Great Depression. The massive structure is visible on the hill, peeking above the treeline, from points all around San Francisco—and a sort of insider secret among the in-the-know adventurers who have seen it up close. One of the most storied trails in the Bay Area, the Dipsea is a notoriously tricky, treacherous route that also hosts the Dipsea Race, the oldest trail race in the U.S. The other 364 days of the year, however, the Dipsea draws plenty of hardy adventurers who scramble up and down its rugged, root-filled terrain. Most runners and hikers opt to do the route from Mill Valley to Stinson Beach to tackle most of the epic uphill stretches first. As a point-to point trip, you’ll have to arrange transit accordingly. For the full experience, start at the infamous Dipsea stairs: three sections of 688 of them (that’s the equivalent of about a 50-story building). From there, follow signs for the trail. It’s about 7.4 miles point-to-point, mostly uphill to the high point at 1,368 feet, when it begins to drop toward the Pacific. One word of warning: This isn’t a good choice for inexperienced hikers or small children. Just about an hour north of the city, the windswept sliver of land of Point Reyes National Seashore offers dynamite views of the rugged coastline, wildlife galore, grasslands, and coastal trees, usually shrouded in a mysterious layer of fog. More than 150 miles of hiking trails keep every level of outdoor enthusiast happy, but this 10-miler is a solid choice both for its scenery and relative ease. The trail starts at the historic Pierce Point Ranch, and the star of the show here are the tule elk, 700-pound beasts that roam freely about the enclosed reserve through which the trail goes (their late-summer rut is a sight to behold). 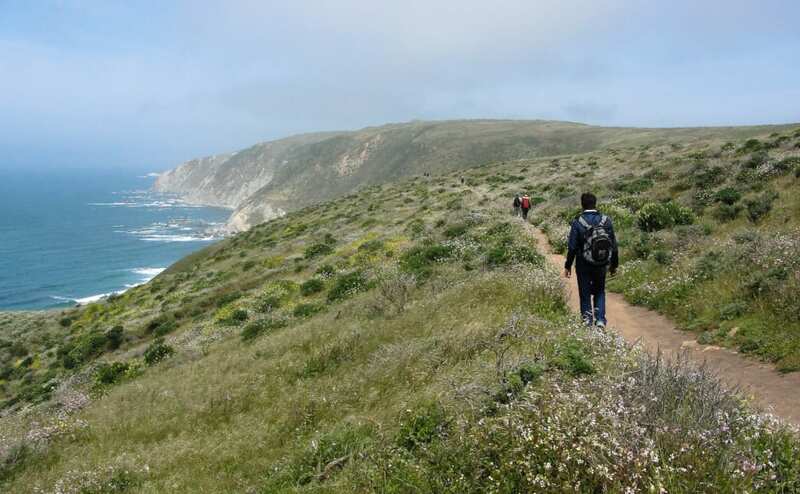 Those who make it to the end will be rewarded with incredible views of the Pacific and Bodega Bay. The weather can be notoriously unpredictable in these parts, so be sure to pack a windbreaker and additional layers. On weekends, this wild, rocky corner of San Francisco is overrun with selfie-snapping tourists. But visit early on a weekday morning, and you’ll have the jaw-dropping views and evocative fog almost to yourself. You’ll break a sweat on the hills and steps, but the views of the rugged coastline and the Golden Gate Bridge will more than make up for the effort. (If it’s your first time on the trails, an out-and-back is the easiest way to go.) For an extra calorie burn look, for a turnoff to the Mile Rock Beach viewpoint and its 100-odd steps down—keep a keen eye out for shipwrecks if it’s low tide.